When I first started flying I never had to worry about talking to air traffic control. I earned my private licence out of Brampton Airport (CNC3), which is a small, uncontrolled airport just a few nautical miles northwest of Lester B. Pearson International. And because it was uncontrolled, as that word implies there was no need to talk on the radio with air traffic services. Sure, there was some radio work, but it was simple enough: broadcast intentions to other aircraft, follow the rules when operating in an uncontrolled circuit, and it all worked out. But eventually the day came, as it does for all new pilots, when it was time to act like one of the big boys, key the mic, and get permission to enter controlled airspace. Like most new pilots, when that day came, I was terrified. I rehearsed repeatedly with my instructor, wrote out scrips of what to say, but when the time came to do it for real, my heart was pounding. And that remained true for many years. 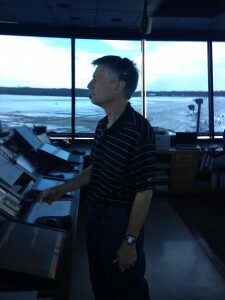 Controller Randy Brown, unit operation specialist, at his post in the NAV CANADA control tower at the Waterloo airport. If only I knew Randy Brown was on the other end of the radio. Brown is a senior controller at NAV CANADA’s Waterloo tower, located at the Region of Waterloo International Airport (CYKF). His title is unit operations specialist. 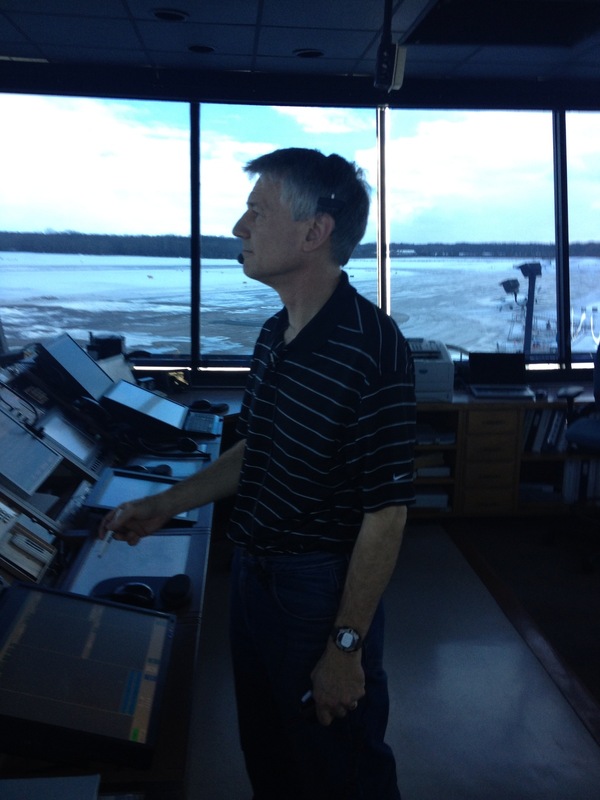 He’s a 32-year ATC veteran, 16 years of which was spent in the tower at Pearson, Canada’s busiest airport. He has a gentle manner, a calm, reassuring voice. And he means that literally. Brown constantly welcomes pilots to the Waterloo tower for tours, chats, and information sessions, committed to breaking down the invisible wall on the radio, the one that separates those who drive aircraft and those who guide them when they’re in controlled airspace. “We see pilots come in here who are obviously nervous,” says Brown. “We do our very best to assure them they’re in good hands. Eventually, with a tip from my instructor, I came to realize talking to a controller was pretty simple: Tell them who you are, tell them where you are, and then tell them what you want. And then just follow their instructions. I came to realize that flying in a control zone was easier, and likely safer, than at an uncontrolled airport. There was always somebody at the other end of that radio who had your back. Region of Waterloo International Airport, featuring a 7,000-foot east-west runway (08/26). The control tower, terminal building and FBOs are located in the background of the photo, near the intersection of the taxiway paralleling 08-26 and runway 14/32. There are plans afoot to one day move the tower closer to the middle of 08/26 in order to give controllers better visual access to extreme reaches of the field. The Waterloo airport, which is less than an hour’s drive west from Pearson, is situated within a Class D control zone, five nautical miles in diameter, extending up to 4,000 feet ASL. It is somewhat unique in that it is not only busy — the 10th busiest airfield in Canada, according to Statistics Canada — but it also handles a wide variety of traffic, everything from big jets to small training aircraft, helicopters and aerobatic airplanes. There are interesting idiosyncrasies associated with the Waterloo area airspace. I wasn’t aware of this, but the airport, which is home to both a busy fixed-wing and helicopter school, also hosts a great deal of aerobatic activity, so much so that the controllers will often isolate a box of airspace within the zone for aerobatic pilots to practice within. 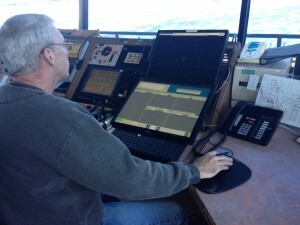 Controller Dave Clarke mans the ground control station at the Waterloo control tower. The large dark screen is his radar monitor. The touch-screen below it allows him to enter in aircraft data upon initial callup — no more paper slips. 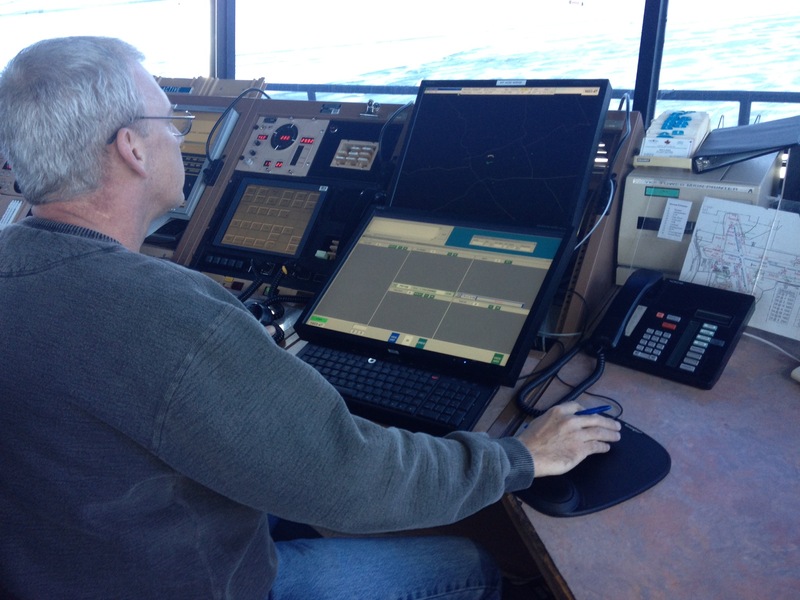 The technology was developed by NAV CANADA and has been sold to several other air navigation service providers throughout the world. And traffic in the area is steadily increasing, up 14 percent since 2009. 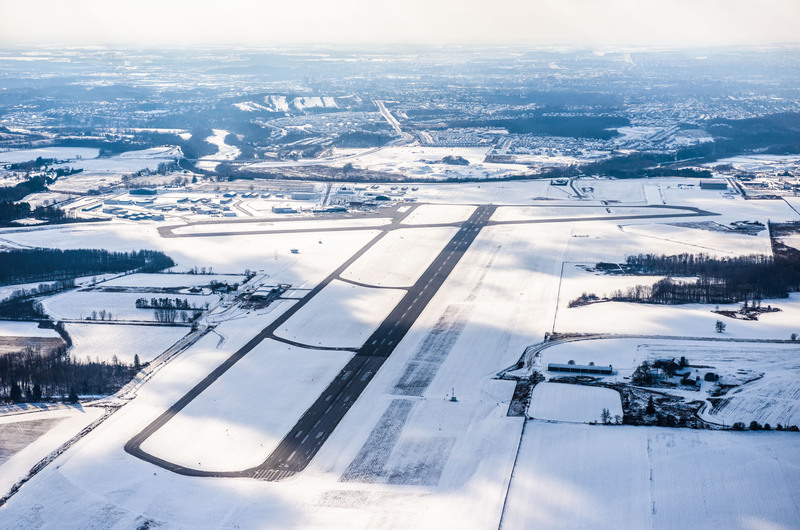 In fact, NAV CANADA, the private agency which administers Canada’s airspace and air traffic control services, has embarked on a study aimed at changing the zone from a Class D to a Class C, a change which could be in place as early as this summer. A Class C designation will require every aircraft entering the zone to be equipped with an altitude-encoding transponder and require them to obtain a clearance from ATC to enter, rather than merely making contact. Brown wholeheartedly endorses the change. “It adds another whole layer of safety,” he says. And safety is what Brown and his staff of 10 controllers are all about. Generally the tower is staffed with two controllers, one handling ground and one handling arrivals and departures. They usually switch roles after an hour in the chair. Although the weather wasn’t the best on the day I visited, and traffic light as a result, it was impossible not to be impressed with the quiet confidence and professionalism in the tower. Should pilots contact ATC if they’re transiting near, but not in, the control zone, or if they’re operating just outside the CZ boundary? “It’s a good question, and we bring it up with pilots all the time,” Brown says. “Technically speaking, if you’re outside the control zone, you don’t need to talk to us. In other words, although it’s true that the controller can see on radar an aircraft with whom he hasn’t yet established radio contact, if that pilot calls early, he or she can obtain an advisory from the tower informing them where the high-speed traffic is and how to avoid it, improving situational awareness for everyone. Calling early also helps simplify the controller’s workload. “If an aircraft calls us 10 miles out, by the time they reach the edge of the zone, we’ve already figured out how we’re going to fit them into the traffic pattern and make it work. If we get a call at six miles, it just doesn’t give us enough time. “The same is true vertically, as well. We’ll get an aircraft crossing overhead at 4,500 feet (ASL) and 4,000 is the top of our zone. Technically that aircraft doesn’t have to call us. “But if we’re launching jets and they’re crossing through, that’s great information for everyone to have so it’s good to call us. “We certainly don’t encourage people to fly right to the edge of the zone and then call. Sometimes we’re talking to people who are departing at high speeds, right up to five miles. Meanwhile, if there’s a guy at six miles who isn’t talking to us, there’s potential there for a problem. But by the same token, too much warning can also be a problem, unnecessarily adding to a busy controller’s workload. 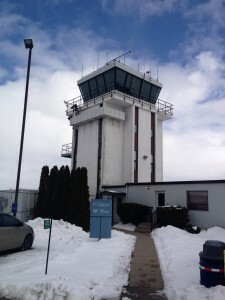 The NAV CANADA control tower at the Region of Waterloo airport. “Something I always tell students is that before you make a (radio) transmission, listen in. “If you’re still some distance away and the controller is extremely busy, he may just acknowledge you and that’s all, because obviously his focus is going to be right at the field. Is approaching or departing traffic at Pearson an issue for pilots in the KW area? What are common mistakes made by new pilots when talking to ATC? “Mistakes are human nature, especially when you’re a student and learning. “Occasionally a student, because of his nervousness, will get a clearance from ATC and he’ll just say, ‘Roger,’ when he doesn’t quite understand the instruction and he ends up flying what he thinks he heard. And that’s a good reminder even for experienced pilots. What will the impact be on controllers and pilots if Waterloo becomes a Class C zone? “Well, it will add more safety,” says Brown. “Essentially our obligation to traffic will be the same. “The only difference is we’re obligated (in a Class C zone) to give traffic resolution between IFR and VFR aircraft, whereas in Class D we only have to pass traffic (information). How do controllers manage a shift change? “When a new controller is coming on shift he or she has a check list to go through, just like a pilot does. How does all that take place if the airspace is busy? How do controllers manage stress? “We all handle stress differently. If you’re really on top of things and you know what you’re doing and things are working well, the stress isn’t felt. “It’s when things get out of control — if a pilot makes a mistake or there’s a weather consideration or mechanical problems with an aircraft, it can throw a wrench into things, and then the stress level can build. How can pilots help ATC do their job more effectively? “Full communication is all we ask. Let us know what you want to do and we’ll try to accommodate it as best we can. “We base our control on reported intentions. If you’re at (a particular altitude), we expect you to stay there unless you ask for something different. If I’m a pilot and have a question, can I contact ATC? This entry was posted in Airports, ATC and NavCanada, Industry News & Commentary and tagged air traffic control, ATC, control zone, controllers, NAVCANADA, Randy Brown, Region of Waterloo International Airport on February 17, 2013 by Craig Daniels.